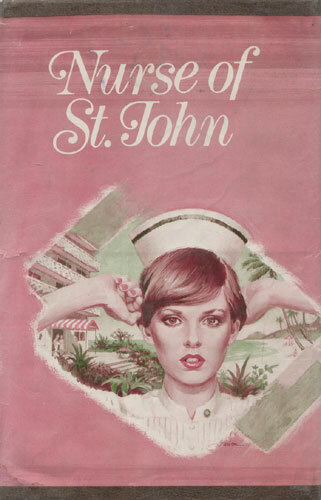 The offer attractive Shelley Talmadge, a private-duty nurse who was between jobs, received from her best friend, Eleanora Crawford, was too good to pass up: The girls could spend the summer at a resort on St. John owned by Katherine Crawford, Eleanora’s grandmother. In return, they would have some light duties — Shelley’s included being the resident nurse. She welcomed the time away from handsome Winston Crawford, Eleanora’s brother, who had been pressing her to marry him. Although she thought she loved him, she wasn’t sure she wanted to give up her nursing career for marriage. Shelley too was affected by the atmosphere. Life could be so pleasant there on the secluded beaches, in the shady coves. For the young nurse, the summer was one of maturation, of growing to know herself and her goals in life. But she didn’t miss out on fun and romance as she discovered the path her life was to take.